Good Monday morning to you! (A special thank you to all of our veterans and their families out there on this Veteran’s Day and everyday!) 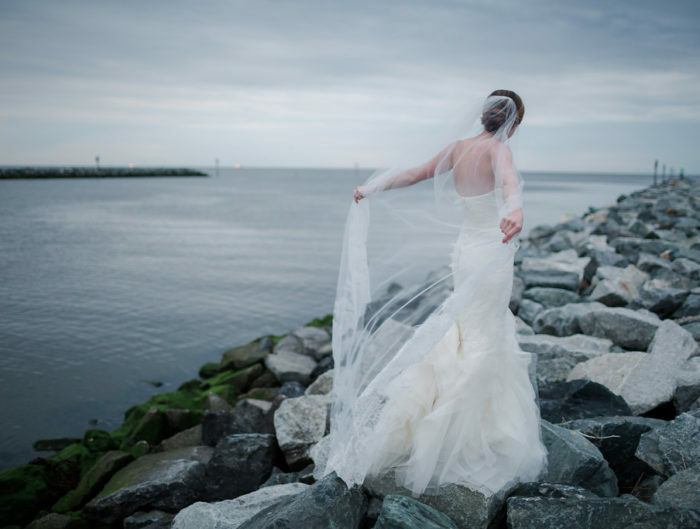 Let me welcome to you Megan and Kevin’s very urban wedding celebration in Baltimore. The used local flowers and natural elements and with Jacqueline of Readyluck there to capture each moment, this cute couple focused on their priorities, kept it simple and small, and it turned out just beautifully! I can’t get enough of that pretty courtyard right in the middle of the city. Don’t forget to come back later this morning for their reception – it was so chic and completely vegan! From Kevin: We wanted our wedding to be memorable for everyone. In order to do that, we focused on keeping the guest list small (less than 100), finding an intimate and historic venue, providing excellent food and drink… all the usual things. We had Elle there to coordinate that evening, which allowed us to just “let go” and enjoy the reception. That was really important. From Kevin: We did a “first look” which was really special. It helped us get over our nerves. We then walked around the historic neighborhood near the venue for some portraits. That was fun. From Megan: Our florist, Ellen of Local Color Flowers, uses only seasonal, locally grown flowers and plants. Because of this, you can’t specify any particular varieties for arrangements. My parents own a vegetable seed business, so I gave Ellen the green light to incorporate herbs or other veggies into the arrangements. My bouquet had baby cabbages, along with dahlias and succulents– I loved it! 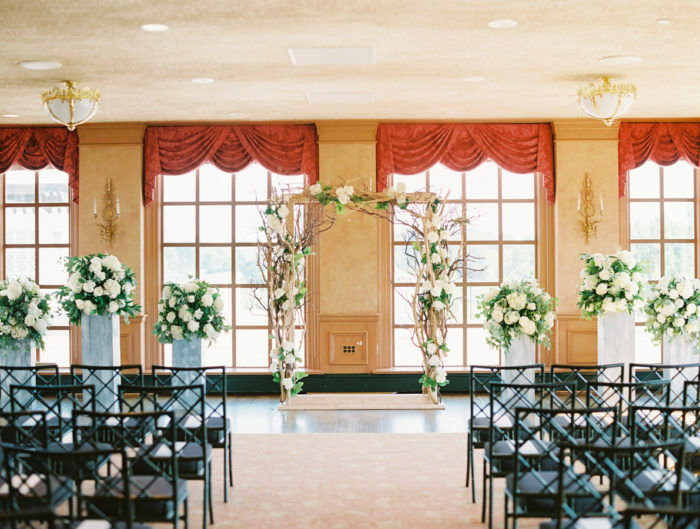 Chase Court has a very gothic feel, so Elle suggested “softening” it with pastel colored flowers and linens. We incorporated little twinkly lights to add to the magical, nighttime feeling. 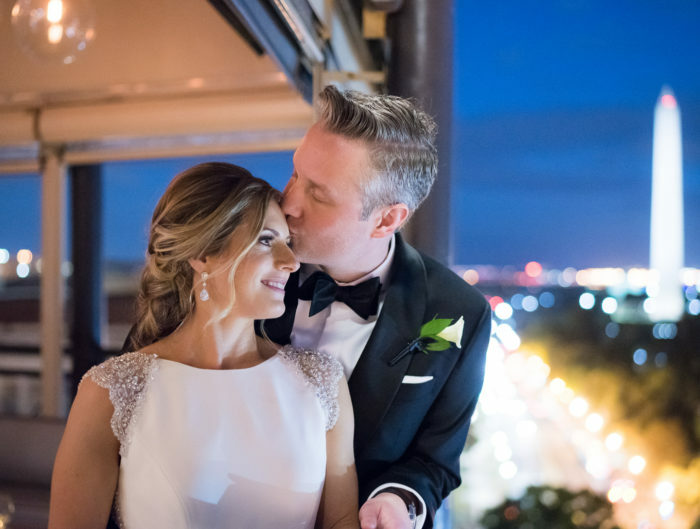 Hair Stylist: Alison Harper & Co.
Visit our vendor guide for more fabulous Washington, DC area wedding professionals, our real wedding gallery for more beautiful Washington, DC area weddings and join the local wedding conversation on our DC wedding forums! thank you so much for sharing Megan and Kevin’s wedding on the blog today! Local Color Flowers loved working with this wonderful couple and this amazing team of vendors. We loved being able to incorporated locally grown edibles (cabbage and herbs) to megan’s bouquet! we also loved using a bike cog for Kevin’s boutonniere. Adding these small, personal touches is one of the things we most love about our work! can’t wait to see the reception! What a stunningly beautiful wedding! Their style fit perfectly with Chase Court, and everyone involved, including Rouge Fine Catering (stunning food, too!) Local Color Flowers (OMG!) and Elle Event Designs, who pulled it all together so magnificently, did an outstanding job. Baltimore rocks! What a sweet surprise! Thank you for featuring Megan and Kevin’s wedding. Such a beautiful and sweet bride!